Whether it is a huge multinational corporation or a start up, meetings are something often hosted in all kinds of professional setups. These meetings are conducted with a certain objectives, commonly referred to as agendas. 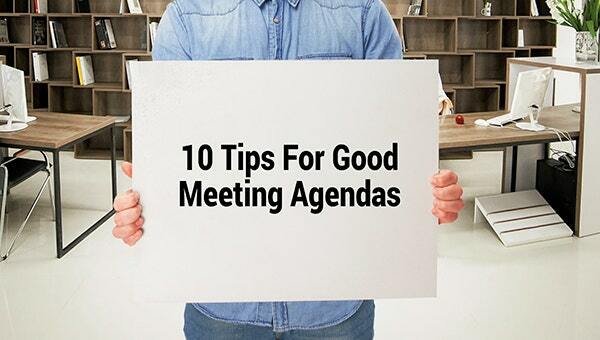 Everyone who is to be included in the meeting is made well familiar with the agendas much in advance. The participants are then expected to prepare well to meet the meeting agenda. The agenda has to be documented for reference during the meeting and also for the follow-up. Having a clear agenda, a set objectives brings clarity of thought and therefore brings effectiveness and efficiency in the meeting. Without an agenda, the meeting is nothing but a waste of time. The focus of the meeting should be as narrow as possible. This goes for all kinds of meeting that you have in your organisation. Irrespective of the number of invitees, the formal agenda has to be clear, brief and well defined so that everyone has a chance to come prepared. It is very important to keep the time frame in mind. An effective meeting agenda should always have a purpose and a time frame, along with details like who all have to be invited and where the meeting is going to take place. Having a fixed time frame helps in avoiding unnecessarily long arguments and discussions. It is important to include relevant people while making important business decisions. The meeting agenda uses should only be sent to the right people who will lay an effective role in the decision-making process during the meeting. Inviting people who have nothing to do with the agenda is not going to bring any fruitful result and will waste everyone’s time who is made to be the part of the meeting agenda. It might sound very unimportant but it is one of the most crucial decisions to be made while developing a meeting agenda. Keep in mind the location of the participant and try to keep it feasible for as many participants. These days Skype, video conferencing come with a great help but if all the invites are in the same city, it is better to have a personal group meeting. You must have all the support material ready for the meeting well in advance. All important documents, files, presentations should be checked and made available before the meeting.